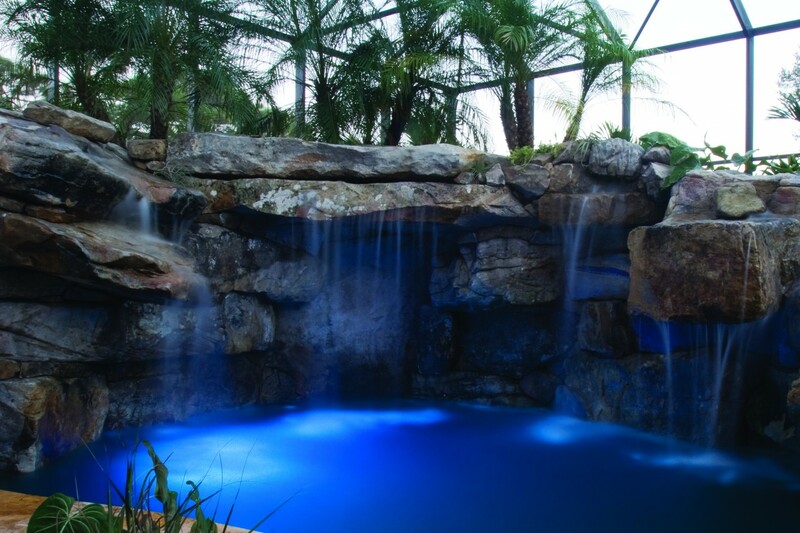 Northern Natural lagoon pool with large grotto water feature and spa incorporating a massive stone boulder bridge to cross the flowing stream. Tropical landscaping surrounds the natural lagoon pool area, spilling out to an oversize travertine deck and full-service outdoor kitchen and bar area covered by a timber gazebo. 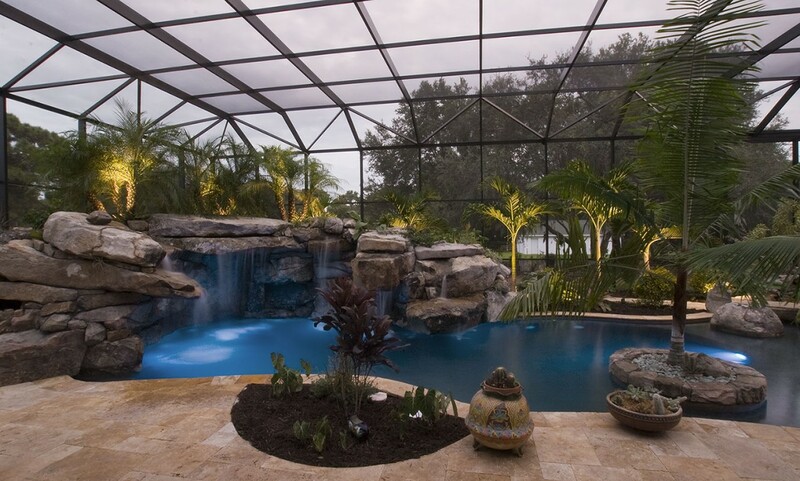 This award winning outdoor design includes a lagoon pool with natural stone waterfalls, a stone spa with a stream, stone bridge, travertine decking, tropical landscaping, outdoor lighting, and an outdoor kitchen. 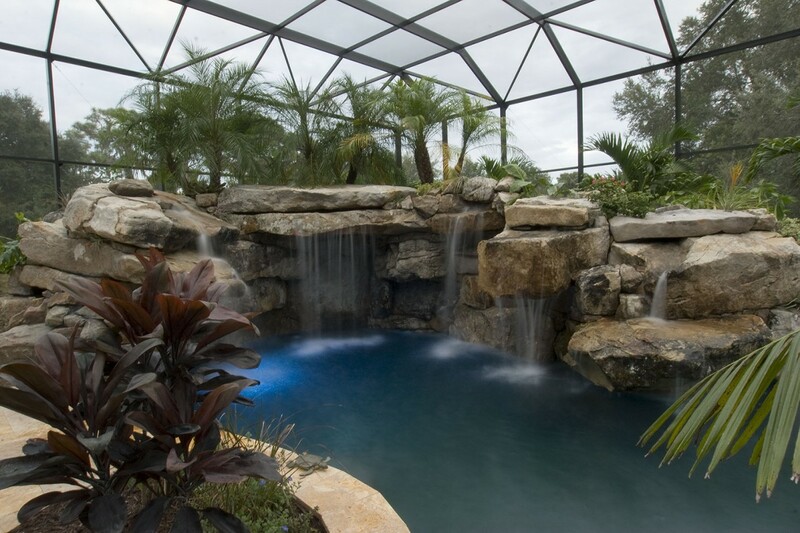 The lagoon swimming pool features a large waterfall with multiple water features that surround you while swimming around the waterfalls. 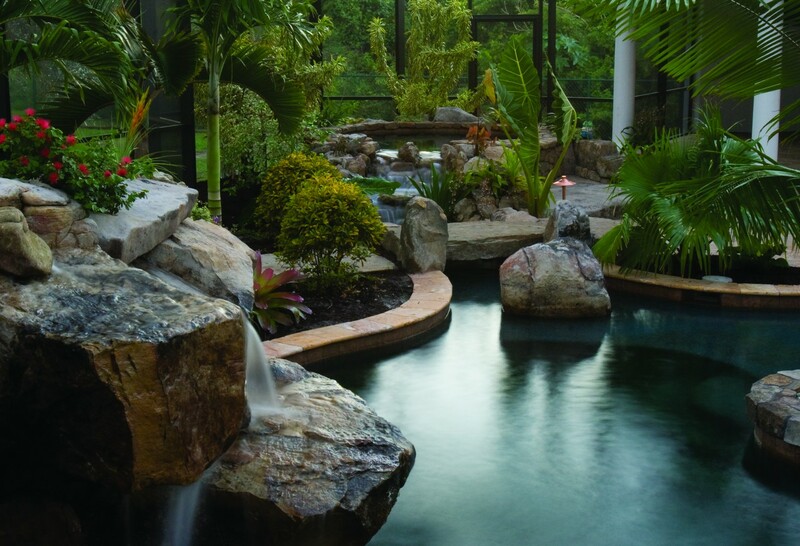 The stone spa was elevated from the pool with a natural stone stream flowing from the stone spa into the lagoon swimming pool. 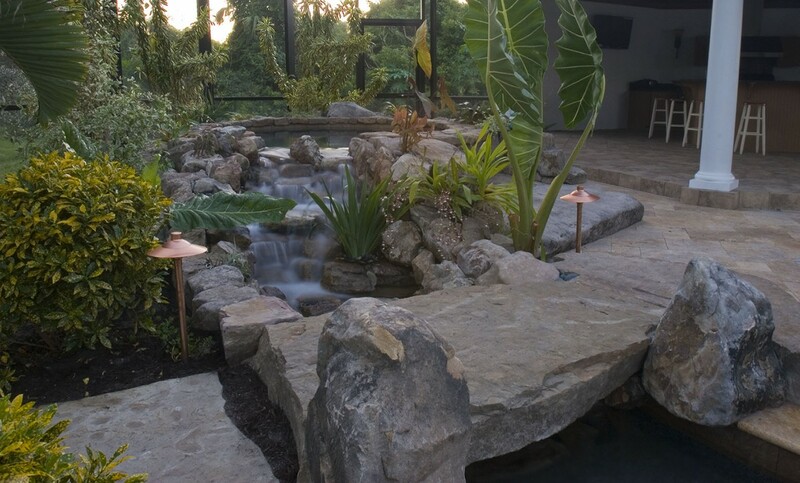 A large stone boulder was set over the stream to lead you to the large flagstone steps that created a path through the landscaping alongside the lagoon pool and behind the water feature. 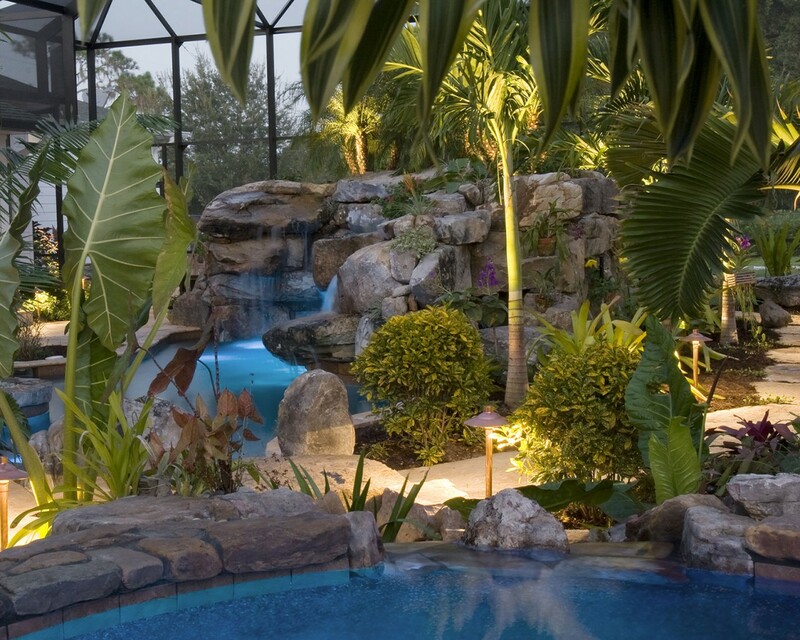 Behind the waterfall and amidst the tropical landscaping is a cozy seating area to enjoy the sounds of the waterfall and the beauty of the landscape. 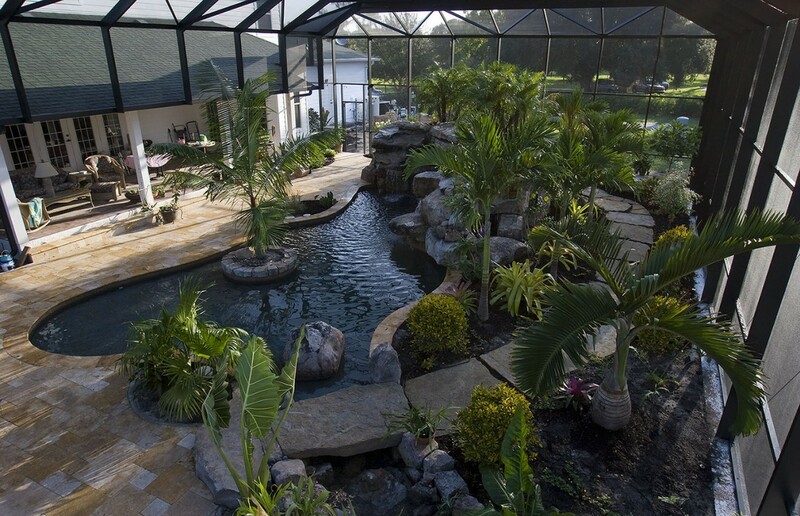 Travertine decking was used around the patio area and in the outdoor kitchen adjacent to the lagoon pool. 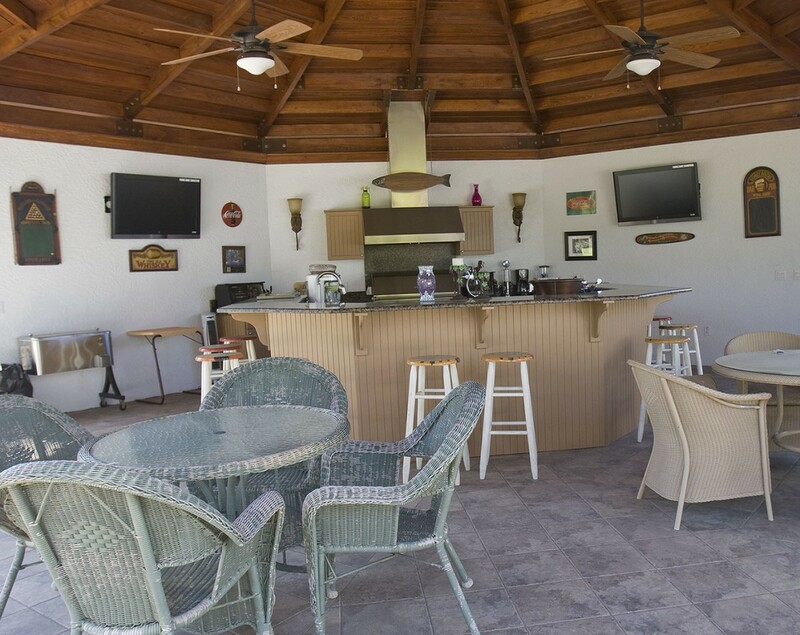 The outdoor kitchen includes all the amenities with a stainless steel grill, two LCD televisions, bar area, wooden ceilings, and seating areas for a great space to entertain guests. 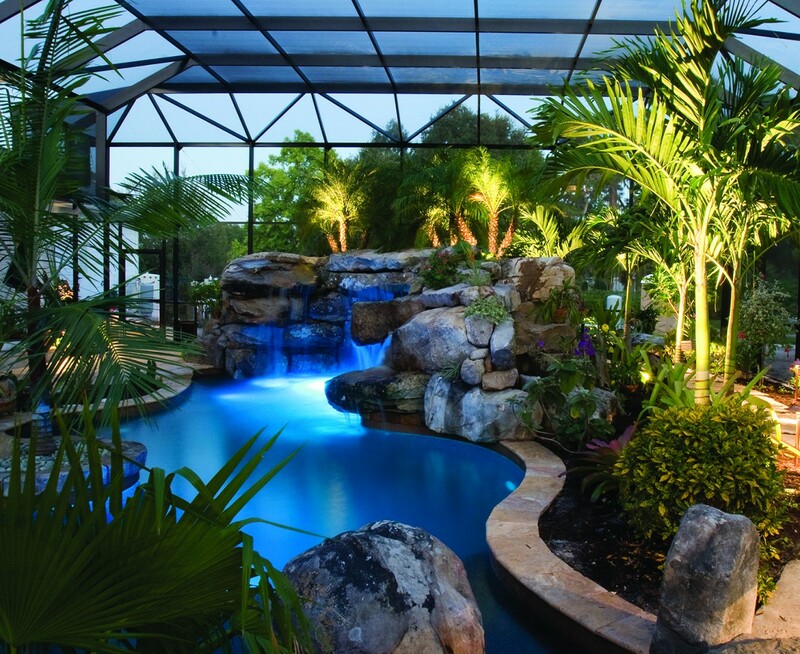 Residential Pool/Spa Combination 501-700 sq.ft.